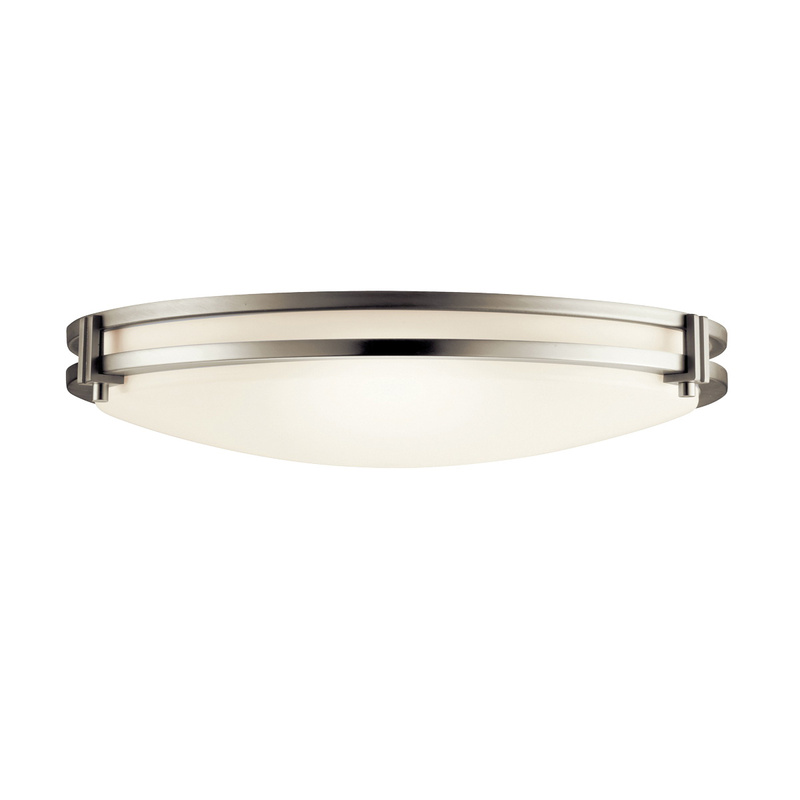 Kichler 2-Light ceiling fixture in brushed nickel finish, features steel construction. The white acrylic glass shade brings elegance to the home. This fixture features two 26-Watt G24Q3 G24Q-1 compact fluorescent lamps that have voltage rating of 120-Volts. It measures 16-Inch x 3.25-Inch. This flush mountable fixture comes with 105-Inch lead wire for hassle-free installation.